It’s taken a while. In fact it’s taken a bloody long time but on Monday August 20th the new path beside the River Crane will open. You could be forgiven for not having noticed the locked gates that mark either end of the new pedestrian and cycle route which starts (or finishes) to the right of the M Bar & Grill restaurant at the new Brewery Wharf development opposite Twickenham Station and finishes (or starts) near the footbridge over the railway linking Craneford Way playing fields to Marsh Farm Road. It’s about half a mile in length. Why the delay? No one outside the elevated worlds of the local council and Brewery Wharf developer St James seemed to know but whatever it was it took flippin’ ages to sort out. We like to imagine deals being hammered out through to the early hours of the morning with middle ranking officials from both sides quivering from excess caffeine, eyes flicking manically round dingy offices and with plenty of slamming of fists on tables. Twickenham Junction Rough path… or ???? The path formed part of the overall development scheme with the associated marketing guff describing it as providing “public access to new areas of open space by connecting the riverside walk and completing the green corridor along the River Crane”. Nice idea. From what little did emerge onto social media as the reason for the delay, it seemed to relate to the time being taken for the developer to fulfil “outstanding planning conditions” before El Brute would take over the path. Did they relate to the path itself, the land around it needing remedial work, or was it connected to the wider development of the site? Not sure. Anyway… more than one year on and it is now going to open and provide a route by the Crane. It will be a useful addition and will link up with the existing Crane-side paths. We expect it to be well used by rugby fans and college students. Let’s hope there are plenty of litter bins dotted along the way. It’s unlit so will operate during daylight hours only and we also hear that it may be closed during larger events at the stadium. But what to call it? 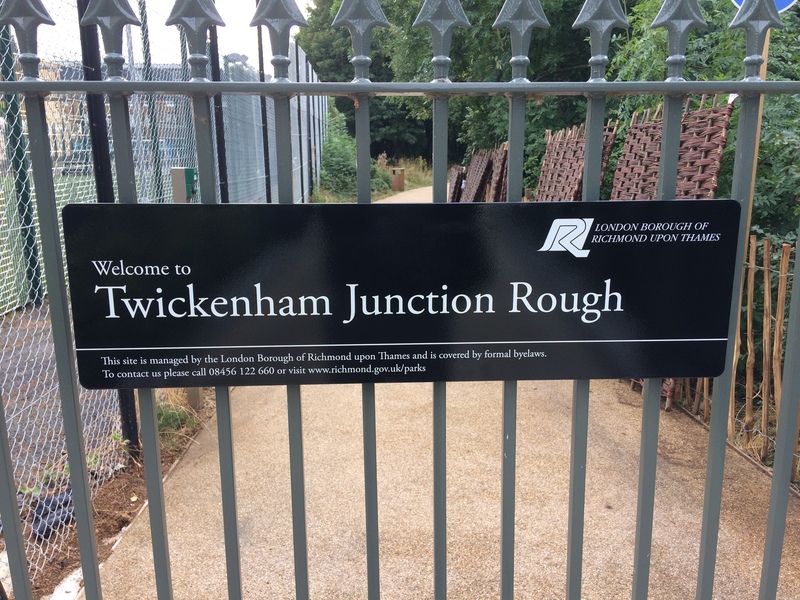 The land is officially called Twickenham Junction Rough but since we’re not an especially rough lot here we thought it should have a different name. A better one. In fact, we felt so strongly about the issue that we ran a Twitter poll about it. And the winner? Why Craney McLaney of course! 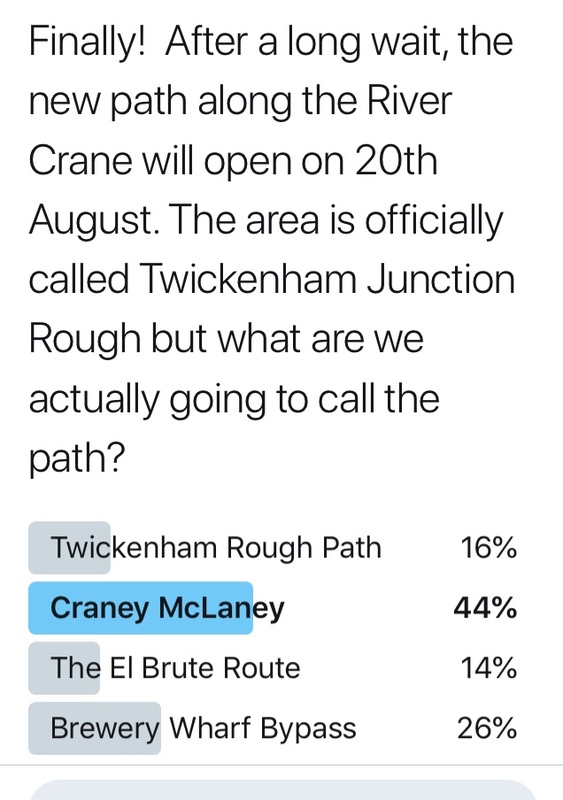 We also hear that the planned path next to the Crane as part of the new station development which will mean Craney McLaney can run all the way to Moormead will be pedestrian only. Seems a bit odd when the rest of the route is shared use. This should be for bikes and pedestrians so come on El Brute, sort this one out! We took a little stroll down Craney McLaney and here’s the result. It’s a pleasant path which is a useful addition to the River Crane/Kneller Gardens route… but some sight of the actual river would be nice! And here are the opening times at the moment. It’s basically 7.30am (later on Sundays and bank holidays) and closing at dusk. The path is unlit so is not open 24/7 and it will be closed during major events at Twickenham Stadium. You likey McLaney? No doubt you’ll have a better name for it. Do feel free to share it here. You never know, it might catch on. Our (FORCE’s) approach from the start on this was (a) don’t encourage RFU rugby fans down this way – as it is inappropriate for large crowds and actually isn’t in a very helpful direction to go in; but (b) do keep it open as a one way option for local people to use against the prevailing rugby flow – ie towards the station before the game and away from the station after the game. In our view this would benefit local people who might otherwise stay at home (or fight the flow along Whitton Road) as well as helping the one way flow of fans to and from the ground. This idea has not been adopted by the council and/or RFU as yet – but would not require much marshalling to instigate. Any views on here? There’s no reason for RFU rugby fans to use the path as it doesn’t go towards the stadium. Its also hidden away and not signposted so it’s highly unlikely they’ll even find it. Please keep it open on match days, in both directions, for residents. We suffer enough from the RFU invasions, why should we suffer the closure of Craney McLaney. Anonymouse – you may be right that not many people would find it – and certainly it is not a helpful direction for the ground – though Quins may like the idea of fans finding their bar more easily. However, with 85000 fans coming into Twickenham it only needs a small percentage to go along there for it to become difficult for locals to walk against them (without even considering consequential littering and peeing problems in the green spaces). Maybe it could be marshalled so that it was only used by local people in both directions – but could this be achieved in practice? A discussion with the council and the RFU on these matters would be useful. All these rugby fans problems happen in Twickenham anyway. There is no reason why this path should be particularly affected. If we want to encourage active travel closing a useful path at effectively random dates (I don’t have a rugby calender) is not a good way to go about it. Rob, is the Duke of Northumberland’s river that runs alongside and to & from the stadium closed or marshalled on RFU event days? If not, why not? Closed for Twickenham Stadium events and at dusk (4.30pm this month). These unnecessary restrictions need to be reviewed and changed by the Council. What do you say Councillor Elengorn? I’m sure a sight of the river would be nice, but seeing as it’s got houses on the other side I think it’s safe to assume the owners would prefer not to have a stream of people peering across into their lounges. I can see why unlit but surely the Thames tow-path is a bat habitat with bats managing to avoid a few cyclists and pedestrians. Opening times added above. Basically it’s 7.30am in the morning (later on Sundays and bank holidays) until dusk. All times are approximate etc etc. We’ve also added our world exclusive YouTube video footage of the path. Is there any official opening hours for this path, as went to use it today at 6.30 AM and it was closed ? 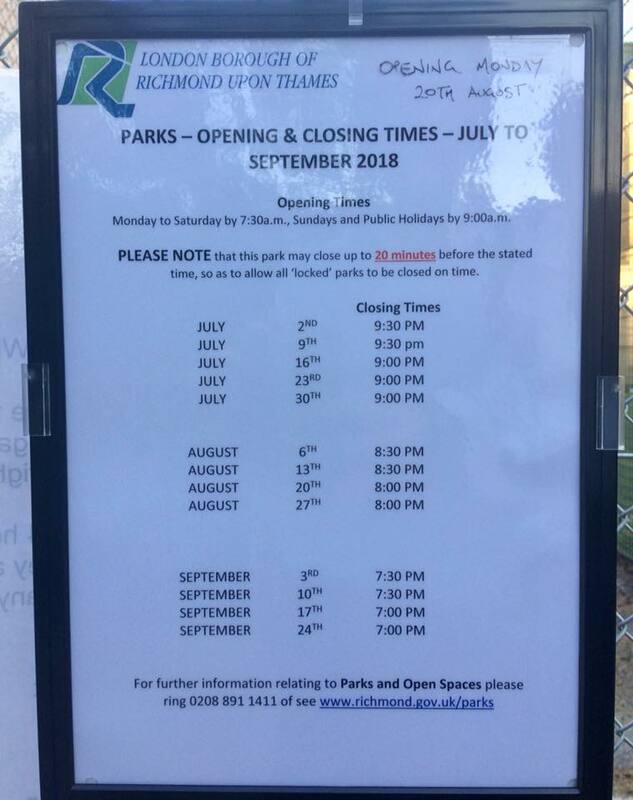 Although not listed on this web page I can confirm that a sign on the gate has same message (i.e., open by 7.30am daily or 9am on sundays/bank holidays). Why on earth is this useful green transport link closed at any time ? Both the Council and the Mayor are nominally in favour of promoting active travel. 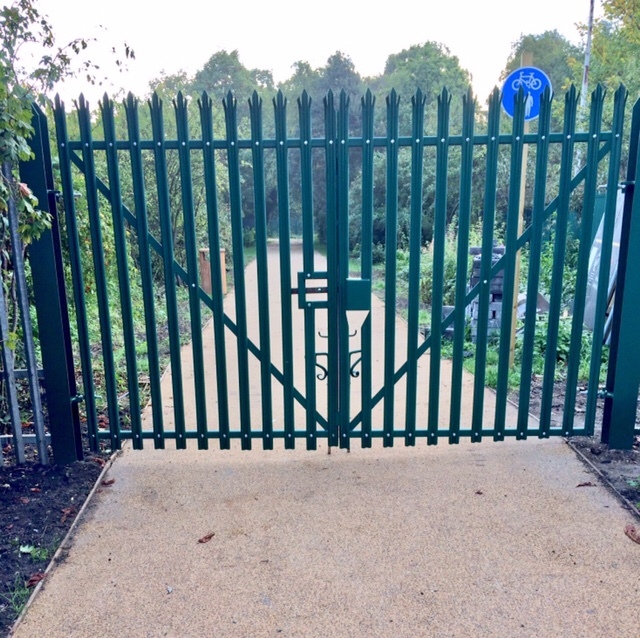 – If you want people to be able to use this path at earlier hours, will YOU be able to get up before sunrise to not only open BOTH gates, and watch out for misuse??? Crane Park including Kneller Gardens manages without gates. No gates no problems with unlocking them. As for people living near being disturbed ; can I have the road past my house closed at night too ? no Paul, I am not the council… try asking them????? Why is it shared use for pedestrians and cyclists? Bicycles are vehicles and should keep to roads just as other vehicles do. It is inevitable that pedestrians will be driven away by speeding bicycles menacing them. We had the same problem in Richmond Park when the ghastly Tamsin Way was opened so that bicycles shot through at high speeds making it dangerous for pedestrians, children and dogs who had previously been safe in the margins of the Park well away from roads. 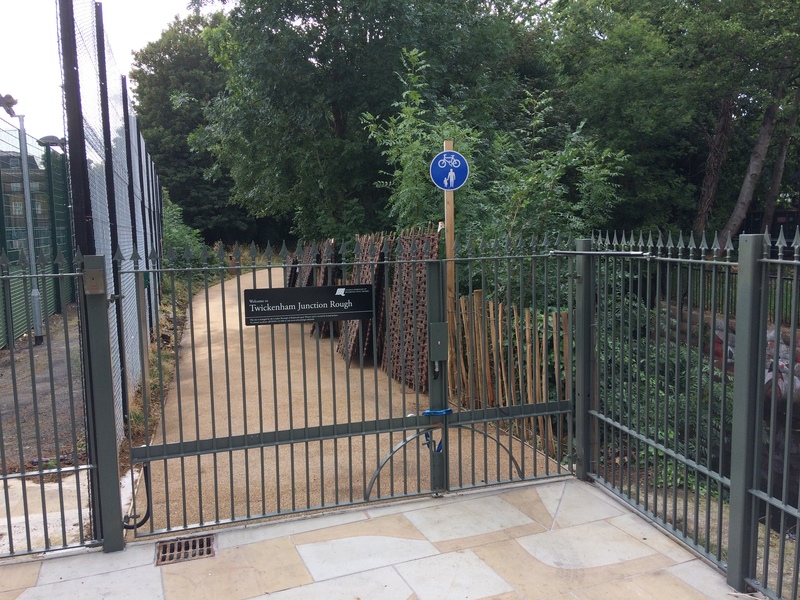 Crane Park (which this new route joins with via Kneller Gardens) is also shared between cyclists and pedestrians and the paths are similar width. I don’t think pedestrians have been driven away from Crane Park. Cycling and walking are human powered and non-polluting. Ideally they should each have separate provision away from motor vehicles but mixing the two is viable with sufficient space and consideration on both sides. What proportion of Richmond Park is taken up by the Tasmin Trail ? Would you like the council to ban micro-scooters, pushchairs, wheelchairs and mobility buggies as well? They’re all VEHICLES! The Rough path is a generous 3m wide, which is far more than many local towpaths and the Tamsin Trail. That’s plenty of room for everyone to share and enjoy. Great connection, enjoyed it and will use, but could do with more signage especially from the Crane Park Playground end. Tried to explain to someone at Kneller Gardens Playground and it really wasn’t easy to explain or for the to find on their own! On the positive side it is wide and well surfaced. No directional signing – where does it go ? Where can I get to from the end ? If it is a recreational path along side a river shouldn’t we be able to see the river ? The link with the existing Crane Park route is narrow and overgrown with nettles. … and it is invisible from the Twickenham end. Developer website said: “public access to new areas of open space by connecting the riverside walk and completing the green corridor along the River Crane”. you can clearly see the path on google maps.. This is a great addition, but it seems a shame that views of the river have been screened off, rather than screening of the properties on the other side of the river. A sign on London Road is also needed because Craney Laney is hidden behind M Bar & Grill. 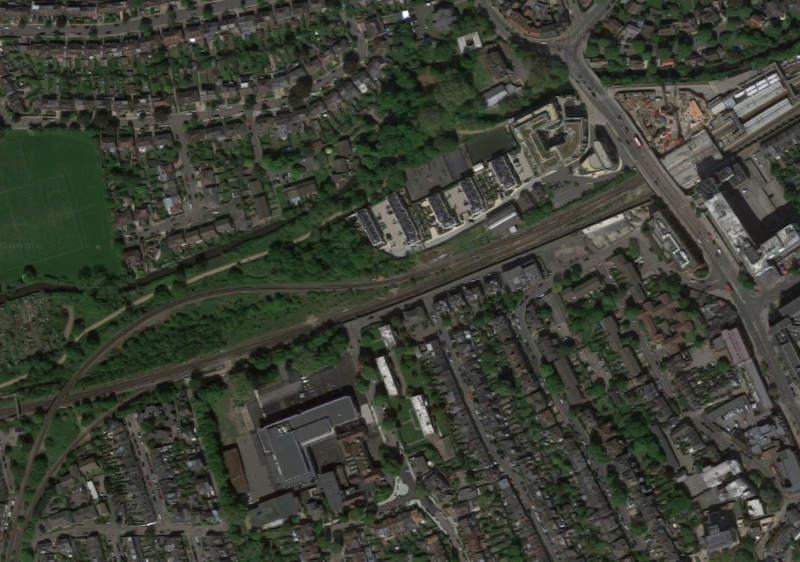 This could be a useful link in a Richmond Cycle Network (spoilt somewhat by restricted opening hours ) as Crane Park has links to Feltham, Whitton and Teddington and routes from close to the station link to Richmond, Brentford and Isleworth. Now we just need a clear hub to link them together. you may need to search twickenham..